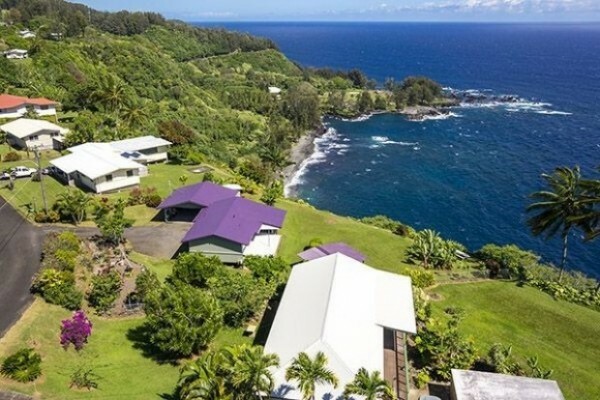 Being offered is this ocean bluff home overlooking beautiful Laupahoehoe Point – living the Hawaii life along the Hamakua Coast doesn’t get better than this! 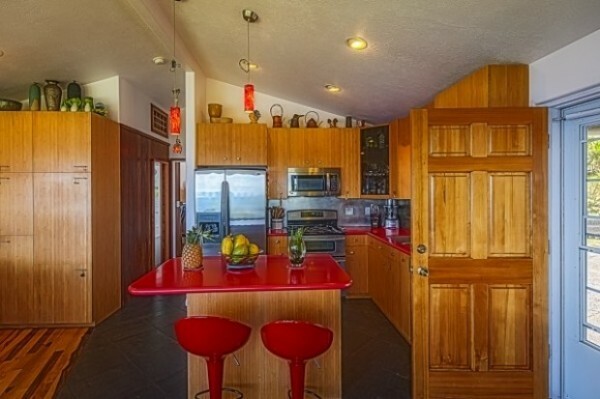 Situated on a bluff overlooking Laupahoehoe Point, this 2 bed/1.5 bath home is convenient to Hilo and Waimea. This charming, small home is ideally suited for someone looking to retire and relocate to Hawaii. Newly remodeled with rare ironwood flooring and Italian ceramic tile, the 880-square-foot home includes two light and airy bedrooms and 1.5 baths (MLS# 263262). The living and kitchen areas feature stunning Pacific Ocean views. Attention was given to the details of this home, from the stainless steel appliances in the kitchen (including a double oven) to the paneled shoji-screen doors with bamboo stencil in the hallway. The kitchen was recently updated and features stainless steel appliances, including a dual oven. 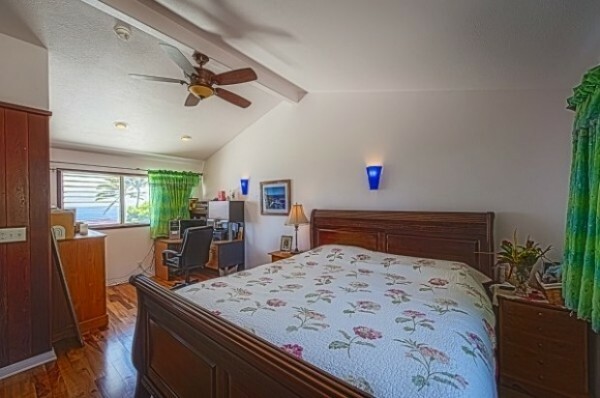 The master bedroom is spacious enough to accommodate a home office, although the ocean views are so spectacular it might be hard to get any work done! The master bedroom provides ample room for a home office. 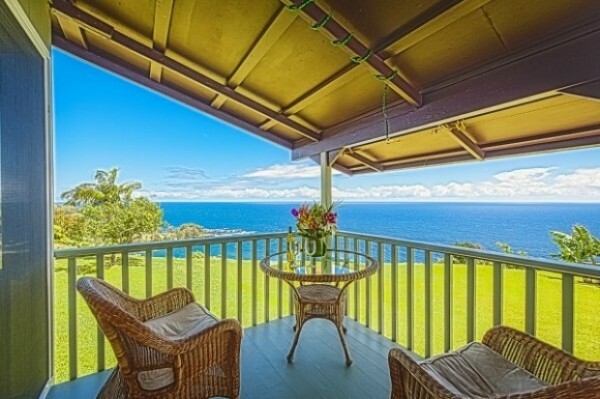 Situated on approximately 0.3-acre on a bluff above Laupahoehoe Point, you have million dollar views of the Point and the Pacific Ocean from every room in the house, including the master bathroom. From the comfort of your living room and kitchen you can watch humpback whales as they swim along the coastline during the winter months. The covered lanai provides exceptional ocean views whether you’re eating fresh pineapple picked from your garden or relaxing with friends. 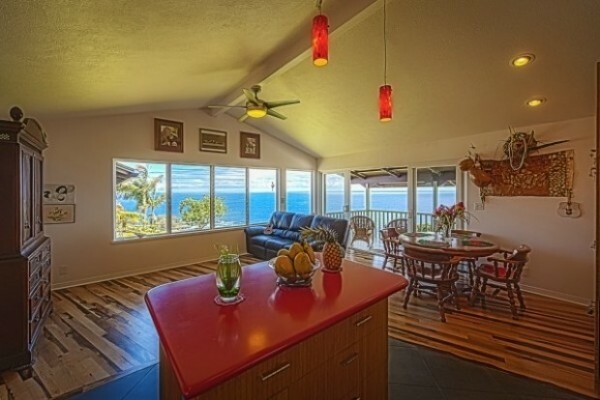 You can dine on the covered lanai (porch) overlooking the ocean, while enjoying fresh yellow and delicious white pineapple grown right in your yard. The property also includes citrus trees and vanilla, a specialty produce item in Hawaii. Laupahoehoe is a former sugar plantation village that has become gentrified in recent years. It’s a wonderful community, boasting a community swimming pool, library, and a new charter school. The area’s rich history can be seen in the Laupahoehoe train museum. Laupahoehoe Point provides excellent opportunities for fishing, diving, boating, swimming, and picnicking. Nestled along the Hamakua Coast, Laupahoehoe is convenient to both Hilo and Waimea. Home to a University of Hawaii campus, museums, and a world-renown astronomy center, Hilo offers a variety of dining, entertainment, and educational activities. Waimea, a well-known ranching community, has a strong arts scene, several farmers markets, private schools, and several fine dining restaurants. 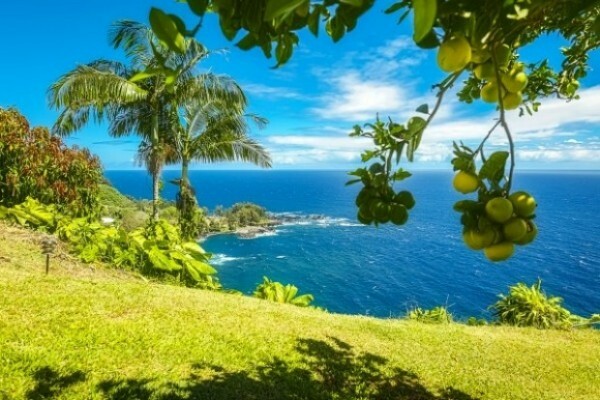 Offered at $450,000, this Hamakua Coast property offers million dollar views in a great location at an affordable price. For more information, or a tour of this Laupahoehoe property, give me a call today at (808) 963-6880.